North Cyprus is a beautiful country and you will see this as soon as you arrive. 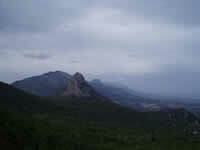 The scenery is breathtaking and you will see this in its mountains and sandy beaches. Whilst holiday makers will certainly appreciate the natural beauty of this amazing country the local Turkish Cypriots also see it and take pride in their countryside. Ask any of them and they will be happy to tell you where to go and what you will see. North Cyprus has so much to see for such as small country and one of the things that you definitely won’t want to miss the nature there is to see. If you have a hire car then all you have to do is take a drive. You are instantly transported and you can climb from a secluded sandy cove right into the wooded mountains. You can explore the rocky peninsulas that jut out into the ocean. For nature lovers North Cyprus has plenty to see no matter what time of year and if you hire a Suzuki soft top jeep you won’t miss a thing. North Cyprus is home to the Kyrenia Mountains and walks through these mountains will let you experience the amazing wildlife that is to be seen. You can join in with local groups and have a knowledgeable guide take you on a tour. In the spring time the mountains are covered with woodland flowers and the song of the migrating birds is a beauty in itself. In spring time whilst you drive around North Cyprus you won’t help but notice the fields as they are awash with colour. The wild flowers that grown here are like a carpet and nature lovers will see cyclamens, narcissi, anemones, and wild tulips. As summer approaches the citrus trees come into bloom and the air is filled with their scent. This is followed by the pomegranate trees whose red blossoms will carry you away. 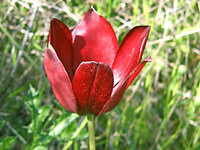 When autumn arrives, the Cyprus cyclamens and crocuses come into bloom and these can be seen on the northern slopes of the mountains. Once spring arrives in North Cyprus the butterflies also come out to play. It doesn’t matter where you walk if there are flowers you will find numerous species of butterflies flying around. 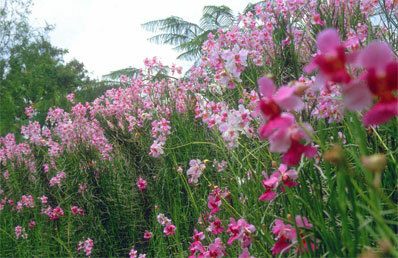 Most nature enthusiasts come to North Cyprus because of the orchids. North Cyprus is home to over 30 species of wild orchids and these can be seen everywhere. The best place to see them is of course at the Alevkaya (Halévga) forest station. You will also find a herbarium here where you can identify all of the plants you may have spotted during your walks. North Cyprus is also home to a variety of wildlife including birds, wild sheep, donkeys, and sea turtles. The mouflon lives in North Cyprus and this wild sheep is a protected species. You can also see the Cypriot wild donkeys but be sure to keep your distance as these animals can be very bad tempered and do not like to be disturbed. The turtle project in North Cyprus is probably the most well known. There are two species of sea turtles that nest and breed on the shores of North Cyprus and these protected animals can be seen on Turtle beach although again you are not allowed to disturb them. Bird watching is a common practice and birding enthusiasts will be happy to know that there are almost 350 different species of birds to be found here. 7 of these species of birds can only be found in North Cyprus. If you really want to see the marine life in North Cyprus then you will need to get wet. Scuba diving is very popular in North Cyprus and it is also a great way to let you see the wide variety of marine life up close. As you can see, if you are a nature lover, North Cyprus will feel like heaven. All that we advise is that you hire a rental car so you can make sure you don’t miss a thing.